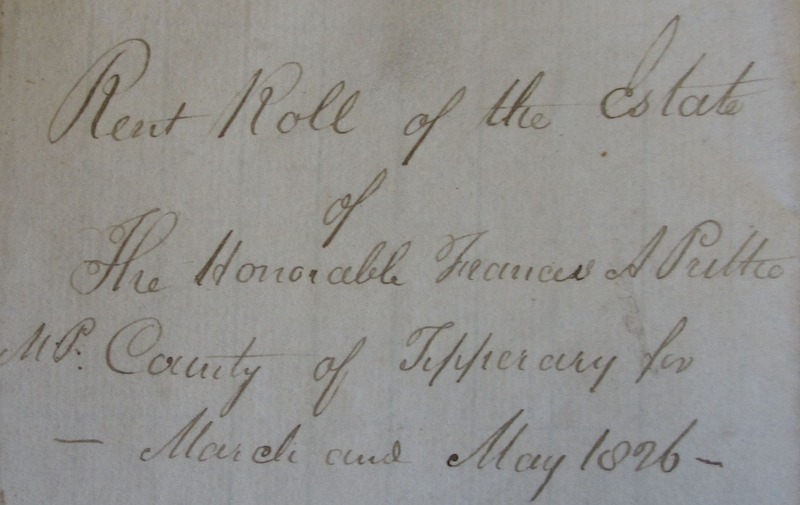 Tenants of Prittie Estate, Tipperary & Offaly 1826. Small Sources 17. This document lists tenants of 57 holdings on the estates of Hon. Francis A. Prittie during March and May 1826. It lists 71 names as several are in joint tenancies. It indicates the townland, rent and arrears for each. Only the rent amount is shown here as an indication of the holding size. 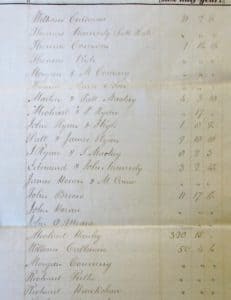 The list is among the ”Dunalley Papers, of the Prittie family Lords Dunalley, 1665-1937” in the National Library of Ireland; NLI Ms 29,808 (2). The holdings appear to be in 2 counties. Loughan or Loughane is in the Parish of Finglas, Co. Offaly close to the Prittie family home at Corville, which is just across the county border in Tipperary. 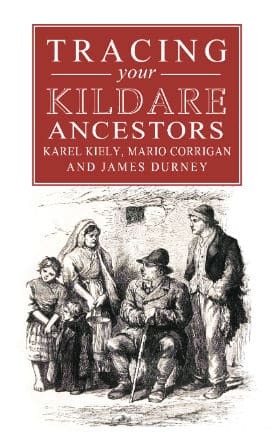 Most of the remainder are in the area South of Nenagh, Co. Tipperary in the Civil parishes of Kilnaneave, Dolla and Ballynaclogh. Ballyandrew, which is the location of 19 tenancies, could not be found. There are townlands called Ballyandrew in Cork and Wexford. 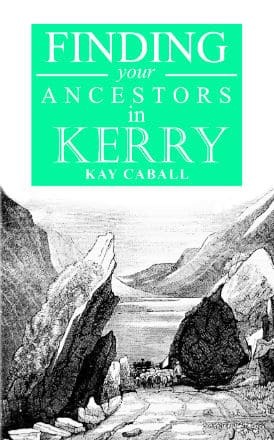 However, this property would appear to be in Tipperary, based on the family names. 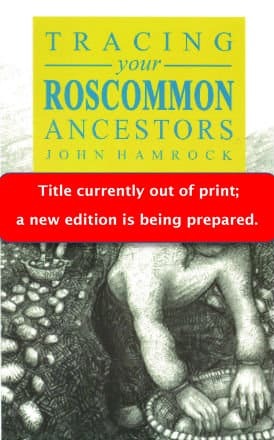 Does anyone have suggestions (noting that it might not be the name of a townland)? 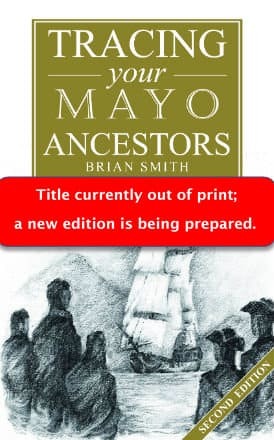 Ancestor Network will offer 1 free hour of research by a professional researcher to conduct further research on these individuals or others in these estate papers and/or to obtain copies of the original. Click here and quote ‘TippSS17’ in the subject line. Morgan & M. Connery – Ballyandrew – 19…. John O’Meara – Ballyandrew – 30…..